The surgery is open from 08:00 to 18:30 Monday to Friday. For a full list of which doctor is working and when, please click here. A telephone call or visit to the surgery is all that is necessary to arrange an appointment with any of the doctors. The receptionists make appointments with the doctors or practice nurses and can give information and advice about the services we offer. We can also offer the use of a secure website on the internet via Emis Access. 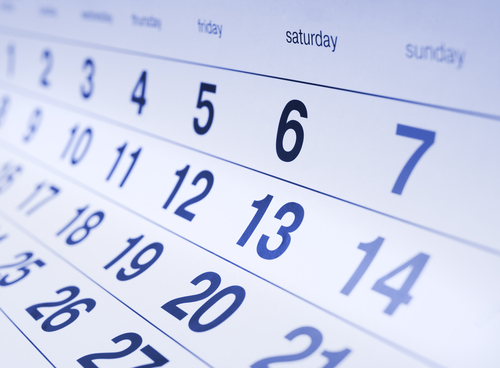 This allows you to book appointments with your doctor up to 3 months in advance. To register for this service you will need to contact the surgery and ask the reception staff for a print-out of your access codes and registration instructions. Once you have these, you can then visit the Emis Access website by clicking here to create your account. (Please note that if we do not know you, you will be asked for some form of ID, i.e. photographic passport or driving licence, before issuing you with your registration details). If you would like to speak to your doctor, it is best to telephone between 11am and 12noon. If the doctor is busy and cannot speak to you straight away we will ‘phone you back. If you telephone from a call box please tell us straight away and we will ring you back. Disabled access is from the rear of the building and all of our surgeries are accessible to patients using a wheelchair. There are also parking spaces reserved for patients displaying a disabled sticker. For patients with hearing problems, we have a ‘hearing loop’ system on the reception desk. We can arrange interpretation and translation services in person or by telephone for patients who do not speak English. Please let us know if you need this service when booking an appointment. The practice now offers some appointments in the early evenings on Wednesdays and Thursdays. These appointments must be booked in advance and will be for routine consultations only. Urgent and emergency cases will continue to be seen by the Out-of-Hours Service, as at present. The telephone will continue to be transferred to the Out-of-Hours Service from 18:30 to 08:00 on Monday to Friday and from 18:30 on Friday until 08:00 on Monday. For security reasons the surgery buildings will not be accessible except to patients with appointments. You will not be able to call in to make appointments or collect prescriptions. There will be no nurse on duty and blood tests may not be possible because of lack of transport to the laboratory. We hope these appointments will be helpful to those working at a distance who find it difficult to make our last normal appointment, which will continue to be at 6pm. Under the terms of the latest GP contract, Beeches Green Surgery is required to allocate all registered patients with a named, accountable GP. Having a named GP does not prevent you from seeing any other doctor in the practice. Your named GP will not always be available and if you need to be seen urgently, you will need to see an alternative GP. If you wish to know the name of your accountable GP, please ask the receptionist when you are next in the surgery. Please note that there is no need to telephone the practice for this information. Home visits are for patients who are too unwell to come to the surgery due to a medical condition. If you leave your home to go on a shopping trip or visit your bank, dentist or hairdresser then we would normally expect you to attend the surgery. Except in emergencies, please telephone the surgery before 10:30am so that the doctors can best fit such visits into their day. Please consider carefully whether a request for a visit is necessary. Urgent cases can always be fitted in during surgeries and even children, if wrapped in a blanket, can often be seen more quickly at surgery than if visited at home. If you need to make a complaint about the Stroud Improved Access service please do so by contacting your usual Surgery who will advise you of their complaints procedure.